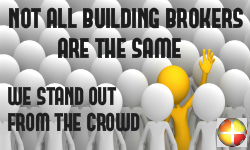 Not all Building Brokers are the same! 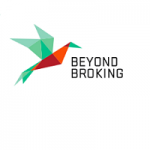 Beware…not all Building Brokers are the same! 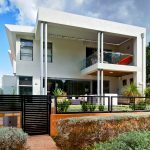 Home Builders Advantage are Perth’s biggest and most prominent Building Broker, a position that we covet most seriously and one which we have earned through hard work and professionalism. 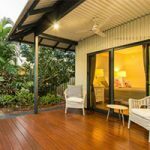 Unfortunately, the poor efforts of some of the other Brokers in Perth have done much to sour the perception of the Building Broker as a whole. Indeed, some of the bigger industry associations positively steer away from being involved with Building Brokers at all! 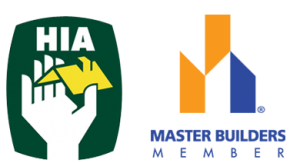 Home Builders Advantage is fortunate to be able to maintain a high profile within the industry and as such, we are active members of the Housing Industry Association, Master Builders Association of WA, Building Designers Association of WA, Charted Institute Of Building, AICD, and the SMEA. By being involved actively in these associations, we are working to improve the relationship between all members of the industry and our own newly formed Building Brokers Guild. Home Builders Advantage offers a transparent, robust and totally customer centric approach to design and tendering a client’s project. From concept design to signing the final contract with one of our award winning builders and beyond to hand over customers are supported with our best practices at all times. Our Builder partners are all assessed, approved and classified so that a client’s objectives and their builder capabilities are fully matched by our commercial team before tenders are invited. Once prices are back a confidential and strict protocol of evaluation is then followed to ensure fairness and above all best value for the client. Past review comments about brokers have proved that this area where unscrupulous brokers can hide extra profit or favour only certain builder buddies is the biggest fear factor clients have in the broker service. Home Builders Advantage and The Building Brokers Guild are stamping out this process by ensuring that regulatory codes are endorsed by the industry and practised by members of the guild. Unless and until the ‘pop up’ or ‘armchair’ brokers are forced to change their shortcomings an unfair market place exists which is fraught with challenges for customers to overcome if they are to get the best level of service that they truly deserve. Currently, the only way to be sure that you will be the main focus of all aspects of your project, get the best value and highest quality on your custom home is to use Home Builders Advantage. We don’t just talk it we walk it too! 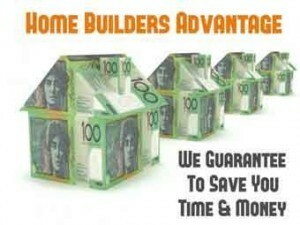 Call 1800 284 539 to find out more! ← Why Builders Love Working With Home Builders Advantage!